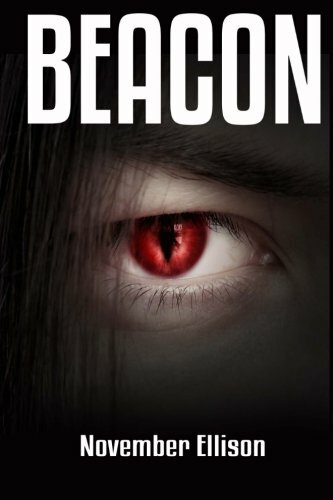 “Beacon” by November Ellison is an interesting book, which combines religion and spirituality with the dark fantasy world of vampires and evil in many forms. It is a mix of genres filled with romance, betrayal, conspiracy theories, and science thrown in for good reading. The story takes place in Newark, Ohio. Joanna Benally is a pastor that has a double life. On one side working with troubled churches and on the other, a person that feels lonely and unfulfilled. Cain is a young handsome man, who claims to be Cain of the Bible (history’s first and oldest murderer), and a vampire. Jo falls in love with Cain, and is conflicted between a radical love and false appearances, struggling between the good and the evil. Ellison created characters that are multi-dimensional, and some will perhaps remind the reader of people they know in real life. The reader connects with the characters as this work of fiction leaves them wondering what is going to happen to them, but also curious about what happened to shape them into the way they are. The author also does a great job with the pace; a fast opening chapter sets the tone for the rest of the novel, which works perfectly with the hooks and cliffhangers throughout. November Ellison’s ability to create fantastic scenarios in realistic settings is excellent. I found myself at the edge of my seat, not wanting to put the book down. In my opinion, “Beacon” by November Ellison is a page-turner that also makes the reader think as he/she is left guessing chapter after chapter. This is definitely a well-crafted tale and the start of a great series. I recommend “Beacon” to any reader that enjoys the fantasy/thriller genres, but believe it to be an awesome book for everyone who enjoys page-turners!